Founded in 2007 in Sydney, Australia, ELLERY creates luxury garments and accessories for women. Each season features modern classics for women with an emphasis on quality, masterful cuts, and unexpected details. Silhouettes are architectural and bold, feminine and wearable. The brand consciously designs with voluminous shapes, masculine tailoring and innovative fabrications, which are reinterpreted season after season. ELLERY is one of Australia’s most sought after and talked about high end brands and designer Kym Ellery remains the third Australian to ever be invited to show during Paris Fashion Week. As the company expands to support its growing international presence, the end goal remains the same: to empower women through design and to create garments for women of excellence. As of January 2018, ELLERY will be showing their runway collections during Paris Haute Couture Fashion Week. And with this change, ELLERY has decided to launch a new commercial strategy. They are now designing two main collections each year, instead of four, which will be sold to their wholesale partners during Haute Couture Paris Fashion Week. “I want to rediscover the feeling that I had ten years ago, when I started ELLERY. I want to bring back the dream.” – Kym Ellery. I want to take the modern, clean, bold silhouettes and translate that through a menswear lens. As our society moves towards more gender fluidity in fashion, I want to play with the line between masculinity and femininity. My campaign will feature a male model posing in “women’s” clothing, taking inspiration from recent campaigns such as Louis Vuitton and Palomo Spain. 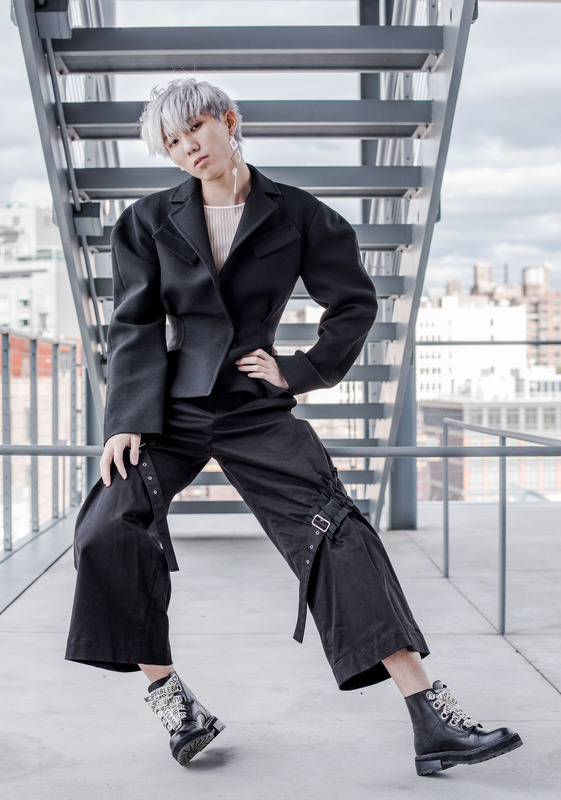 I believe androgyny in fashion invites the viewer to interpret the clothes aesthetically rather than putting “menswear” or “womenswear” labels on them. And by taking gender labels off, there is more freedom of choice.